Melissa Hege, AICP of South Florida-based Melissa Hege City Planning LLC. 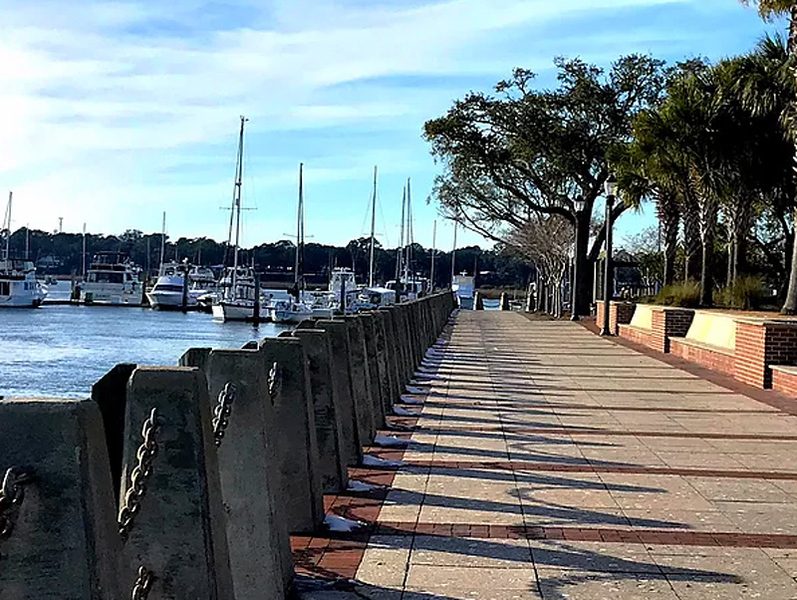 shares her thoughts on what makes Beaufort, South Carolina a special place. 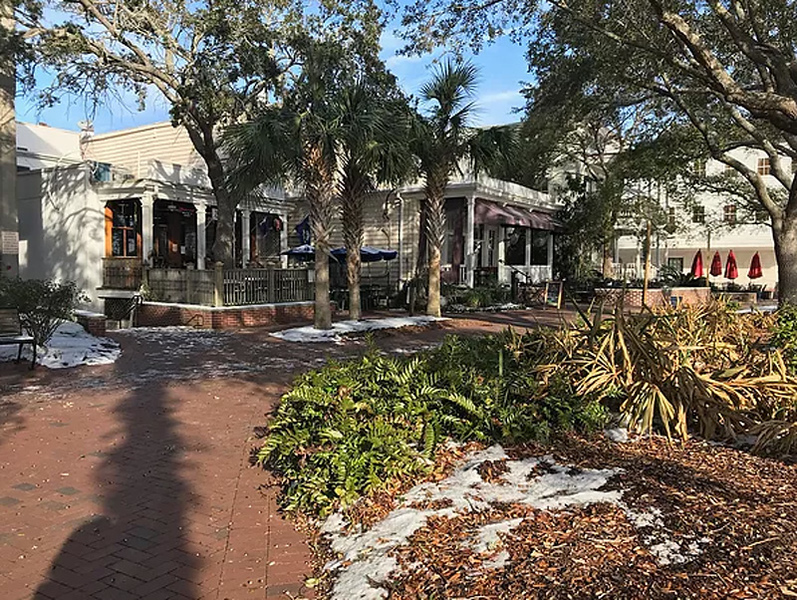 This winter my kids experienced real snow for the first time in Bluffton County South Carolina. Flashbacks to my childhood waking up to a light blanket of snow, the anticipation of school being cancelled and a day of sledding and snow angels. Pure magic. 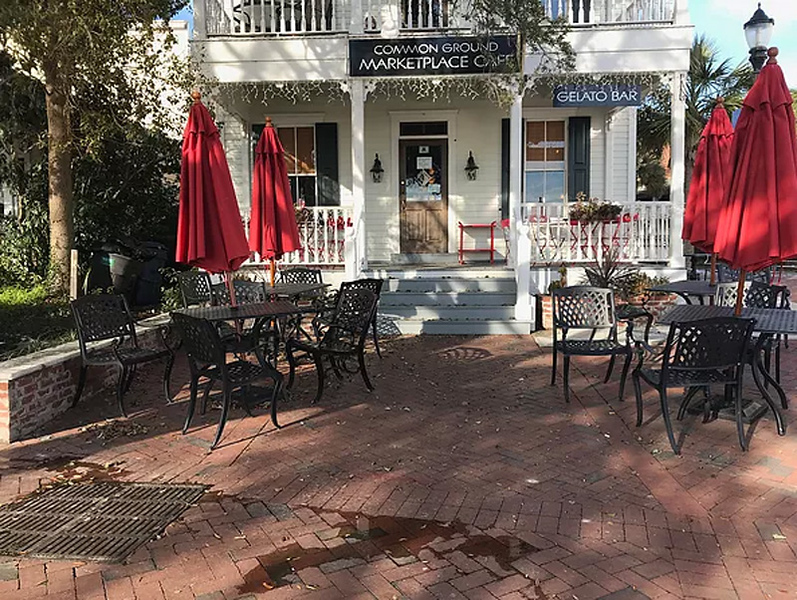 But the real magic for me came a few days later when we ventured out to the small town of Beaufort, SC. 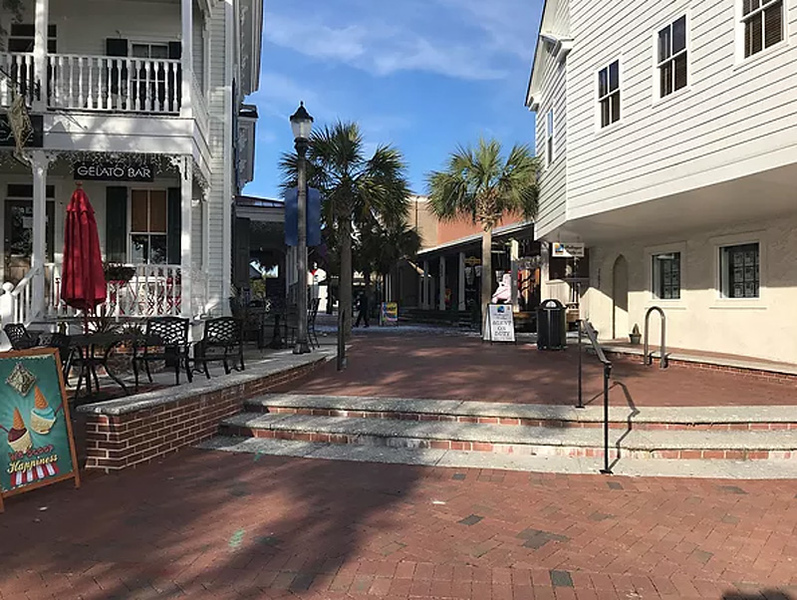 The Main Street was charming and the shops were quaint and lovely, but the real stand out was the waterfront park behind the main drag. And that’s when I realized, size matters because sometimes small is better! Let’s start with one of the entrances leading to the park. 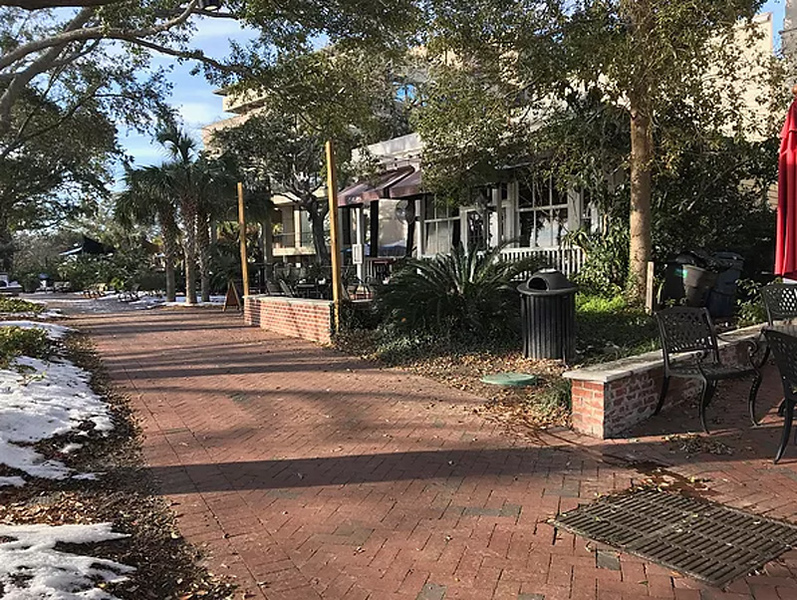 Beaufort’s main street runs parallel to the waterfront with wide brick paths that run in between the buildings and to the park. The buildings on either side of the path are designed to draw people through the space with cute shops and cafes that even wrap around the corner and face the river. You can see that the path above is short. It cuts through the depth of one city block–about two building deep. Small is good. Here’s another view of the corner cafe with a better view of the back patio that faces the river. 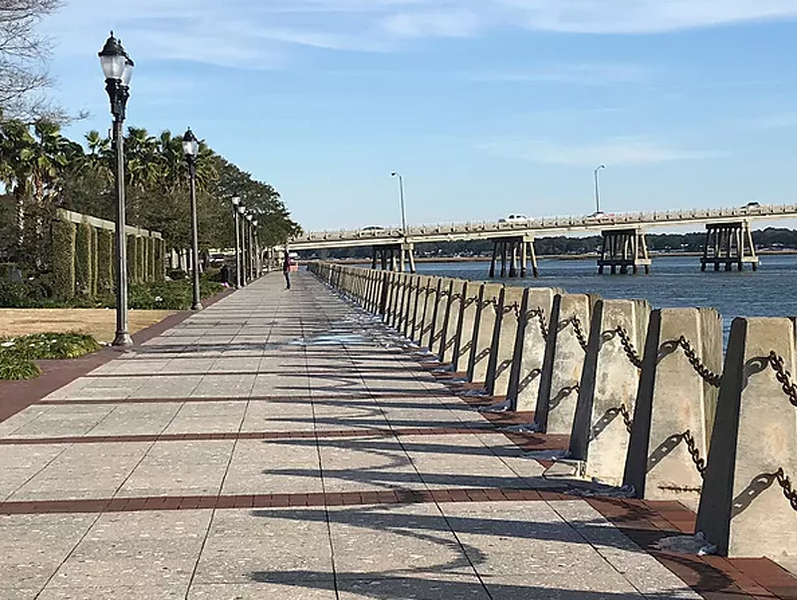 It’s a simple and clever design to activate the waterfront. It doesn’t have to be big to make an impact. Here a collection of outdoor cafes come together to create a larger and more interesting space. The path continues around the back of the buildings with even more outdoor seating. 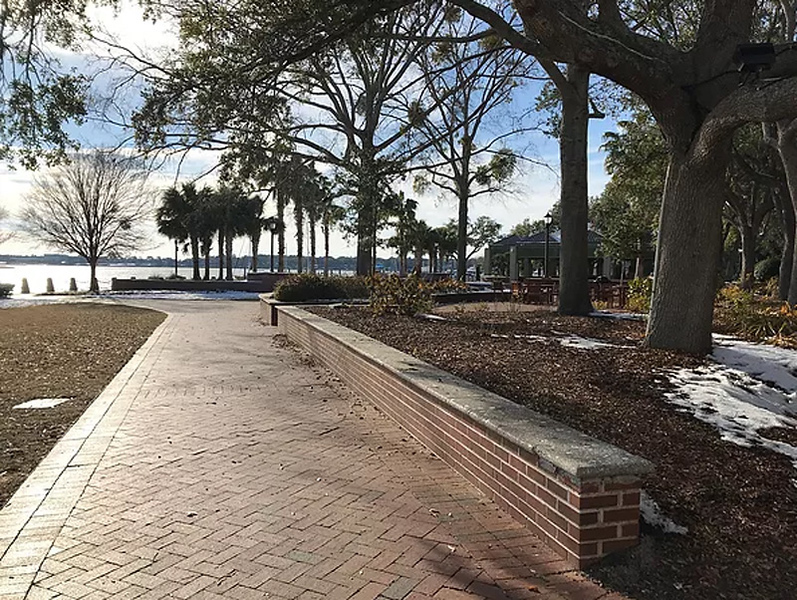 The chilly weather kept most South Carolinians indoors but I was able to spot a few for this blog post. Here the path continues out towards the water. The simple design is attractive and effective. I couldn’t wait to walk out to the water and see more of the park. And this is what I found. More traditional designs. Classic and functional. This wide path uses a material that is embedded with seashells and is local to the region. And there’s some brave soul who decided to venture out despite the chilly 30 degree weather. And a closer look. I think this might have been why she decided to head outside to Chambers Park. 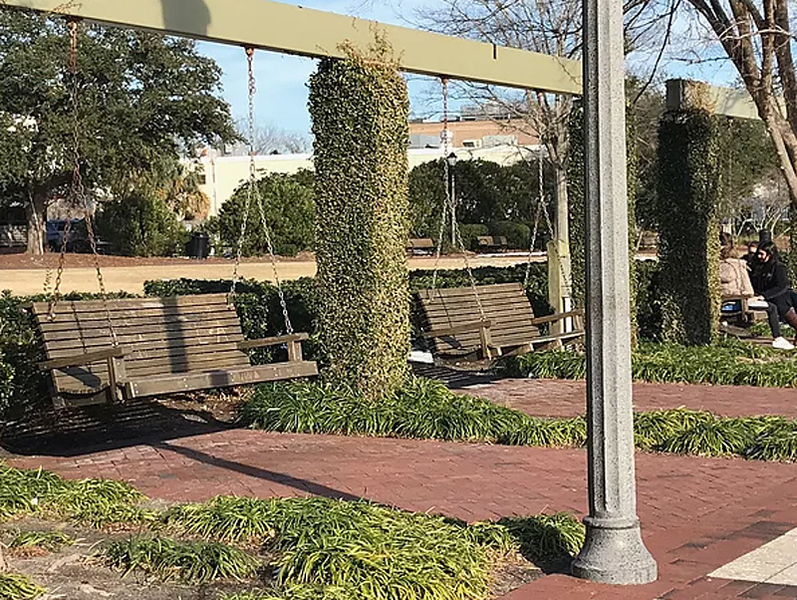 A row of bench swings are appealing to kids and teenagers and even adults. The design is really elegant and each bay is somewhat private and cozy even if it was one of the coldest days of the year. And let’s talk about why the design is effective. The green columns and the ground plantings contrast with the hard materials on the main path both in texture and color. 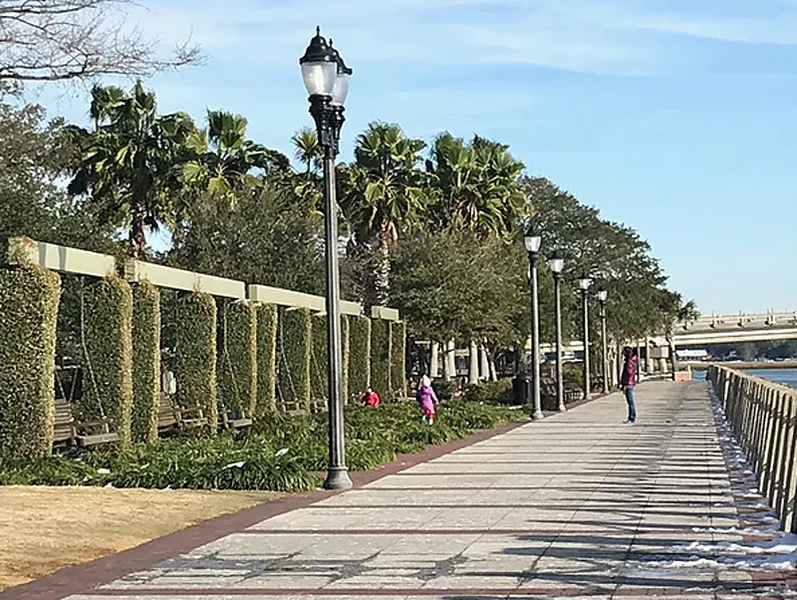 And notice the three different rows of vertical elements- the columns, lamp posts and concrete bollards- which kind of define the edges of the spaces. The spaces are not small, but they feel small. And in this example, small is good. Perhaps the City’s size has made it nimble and easier to make decisions. Fewer layers of people for approval and more direct access to decision makers. I’m really intrigued. Last blog was about another small town success- West Palm Beach. Next blog will feature another small town in our Miami locale. Why do small towns make it look so easy?